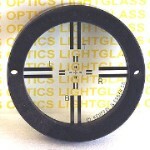 The 71-6250 Mirror Target has been made and sold by both Keuffel & Esser (K&E) and Cubic Precision. It is an A.I.A. 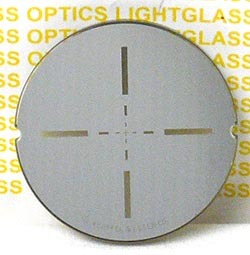 Standard 2.250" diameter mirror which is flat to 1/4 wave and has a cross target left unmirrored on the face. This allows this to be backlit for easy aquisitiion of the target when autocollimating or using the auto-reflection feature in your telescope. These are rare to find, and this one is in good condition.